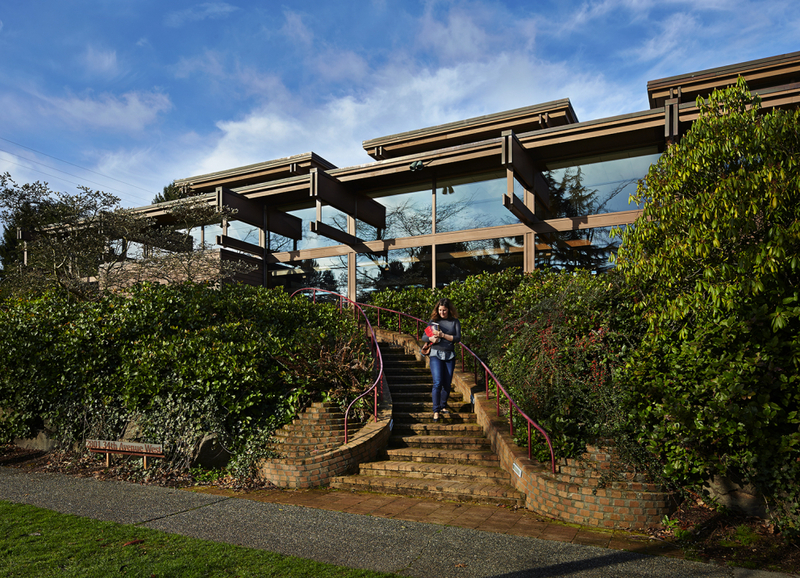 Docomomo WEWA returns to Olympia on Saturday, October 13, 2018, to celebrate Docomomo US Tour Day* with a special tour of the Trueman and Virginia Schmidt House, a National Register-listed property built in 1950 for scions of two, prominent local families. Trueman was the grandson of Leopold Schmidt, founder of the Olympia Brewing Company and Virginia Aetzel came from a family with deep roots in Olympia. The event is co-sponsored by the Olympia Tumwater Foundation. As Washington's capital, Olympia is best known as the seat of state government, anchored by the beautiful capitol campus and the 1928 Legislative Building with its impressive dome. Our tour will focus on one of Olympia's more unique, mid-century modern residential designs, designed by the Olympia firm of Wohleb and Wohleb. The Schmidt home will be open to view; short presentations on the history and architecture will be given; and displays associated with the families and brewing company will be shown (courtesy of the Olympia Tumwater Foundation). WHEN: Saturday, October 13, 2018 from 2:00 to 5:00 pm. Choose tour #1 (start time - 2:00 pm) or tour #2 (start time - 3:30 pm). For a better event experience, each tour is limited to a maximum of 40 people. There is no wait-list or ticket sales at-the-door. Allow about one hour inside the home to enjoy the full experience. WHERE: The house is located in Olympia. The address will be revealed upon purchase of tickets through brownpapertickets.com. TICKETS: $10 (plus $1.34 service fee) per person. All tour fees go to Docomomo WEWA and the Olympia Tumwater Foundation which are both nonprofit, 501(c)(3) organizations. We'd like to thank the property owners/hosts and volunteers for helping to make this event possible. Docomomo WEWA's programs are supported in part by a 4Culture Preservation Sustained Support grant. *Tour Day is Docomomo US's annual national event that raises awareness of and appreciation for Modern design in the mid-20th century. All across the country, our friends and colleagues are producing great regional events on the same day!